Did some fun stuff for the blog today, but until I have that all ready for posting, here is another quick tip! 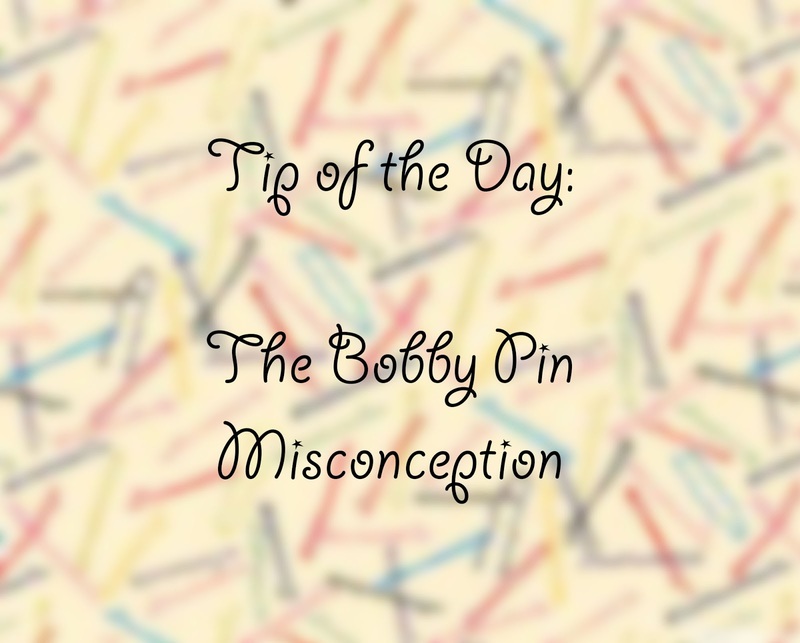 As I'm sure many of you have heard...one of the biggest misconceptions in hair, according to the experts, is that we all use our bobby pins the WRONG WAY! Apparently, the jagged side should always face inward, and the flat side should faced outward! I was pretty blown away when I heard this, and have since tried this new and "correct" technique. I have to say...it works better!!! It genuinely holds the hair more securely. It definitely feels weird to completely change the way I've used bobby pins since I was what...like 5 years old? But I am happy with the new way! Have any of you tried it!? 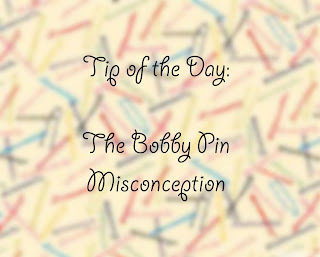 To be honest, I've never heard of this way of putting a bobby pin on. I'm gonna have to try the correct version then. Haha.